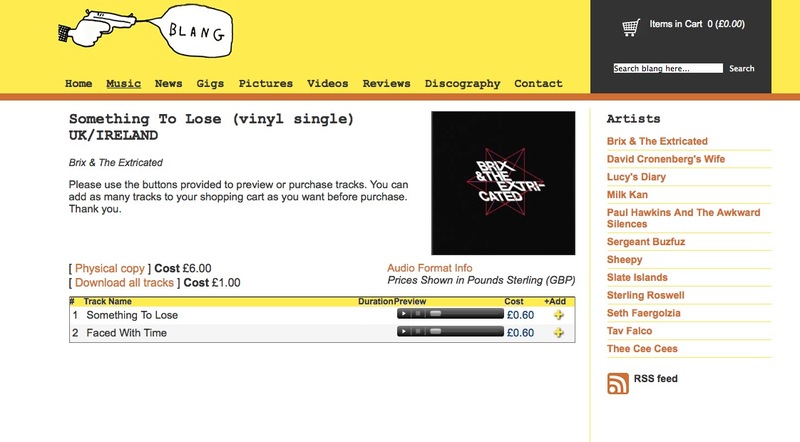 Mick Routledge » New Brix & the Extricated vinyl! 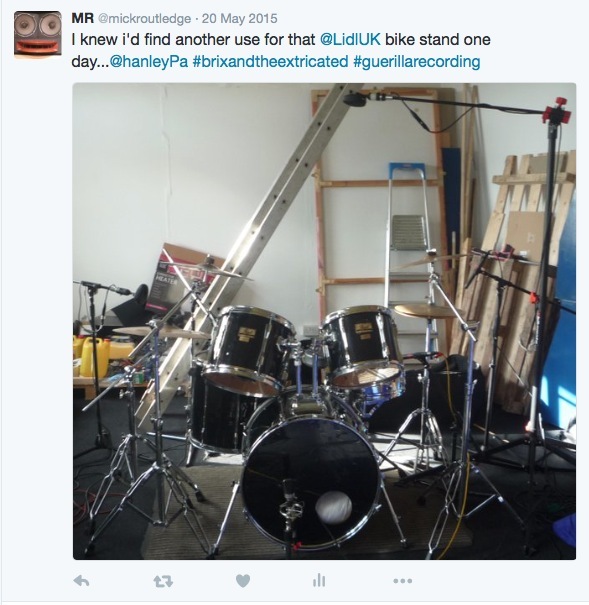 You might remember me posting a load of pictures from some ‘geurilla recordings’ I did with Brix & Co last year in the empty space formerly known as Moolah Rouge Studios in Stockport. Coles overheads on a Lidl bike stand, blankets over amps, home-made bass traps all over the shop – you get the idea. 2 tracks from those sessions – Something to Lose & Faced With Time – got the heavy-duty mix treatment from John Reynolds and are out now on 7″ vinyl from @BlangRecords.